Just when you think you have the answers to this suspense mystery, Charlie Donlea leads you down another twisted forest path that veers you off the road. This is a story about a girl who was taken and her sister who cannot move on with her life without getting answers to her questions. But this is only the surface of a story that will keep on leading you down dark, twisted pathways never knowing when you’ll finally find your way out of this maze of mystery. This is also a story about how dangerous curiosity can be when taken too far. 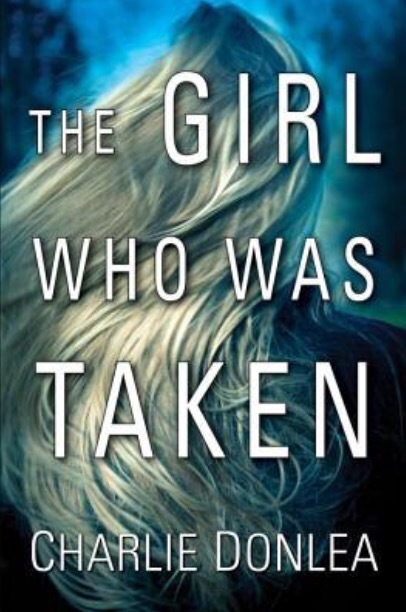 I thoroughly enjoyed The Girl Who Was Taken. I adore mysteries that are true mysteries, the ones that keep you guessing and wondering if the bread crumb the author just dropped is a clue or a red herring. Charlie Donlea successfully keeps up the mystery in this taughtly crafted suspense. The characters in this story are multi-layered and the story told through multiple view points and two parallel timelines keeps you guessing in a well plotted maze of an arc that will surprise you with its sharp curtain-drop ending. The premise of this story is more than just a missing persons case. This is a story about how well you know, or think you know those around you whether it is your sibling, your child, your parent, your friend or your co-worker. It is a story about secrets. The secrets we keep from ourselves, the secrets we keep from others and the secrets that threaten our very foundations. This is a story that anyone can relate to. How far would you go to find a missing loved one? What questions would you be willing to ask? What answers are you willing to face? If you like your mysteries spiced with more than a few red herrings, and you love a good maze then The Girl Who Was Taken will be the book that will lead you down twisted paths deeper and deeper into the heart of a story that will keep you turning the pages wondering if you even have the right map. Charlie Donlea surprised me with his strong debut but he has delighted me with The Girl Who Was Taken. I can’t wait to see what he comes up with next. The Girl Who Was Taken has all the right ingredients and just enough surprising spices in a well crafted mystery suspense to get a solid 5 star Coffee rating from me. For “The Girl Who Was Taken” I recommend a carafe of Moroccan Spiced Coffee. This is a story that at first glance seems like a standard mystery but as you turn each page the story twists your original judgement on its head and then twists it again. This coffee appears like a standard coffee, only the exotic aroma tempts you closer to draw in more of that aroma. So make yourself a carafe of this exotic deliciousness and sit down in your favourite reading corner with “The Girl Who Was Taken”. Tell me, What book/s + coffee (Or Preferred Poison) is keeping you up at night? Sounds like a very interesting book. And I love your Moroccan Coffee. I grew up in Ethiopia, East Africa and we have a spice mixture called Mekellesha, which is essentially these spices without the salt, which is added when the coffee is made, along with a bit of butter. 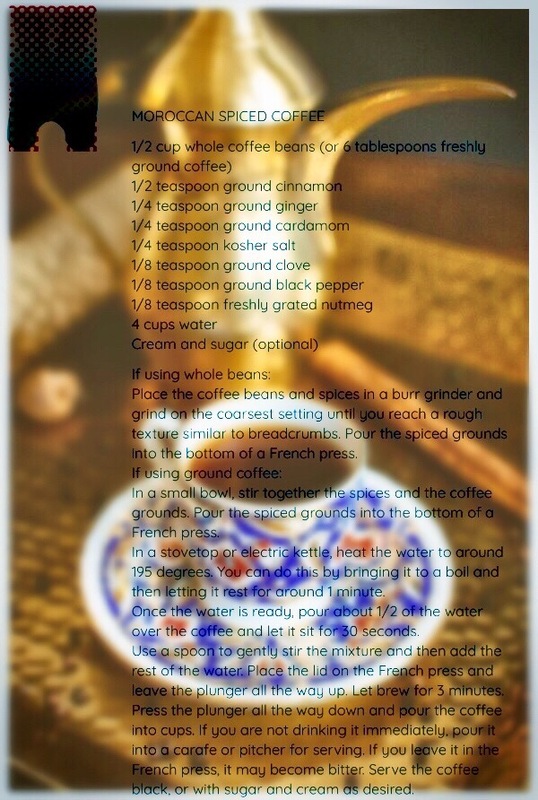 We normally put the spices in our tea, but I often put cardamom in my coffee. I’ll give this recipe a try. I just read The Lilac Girls by Martha Hall Kelly. A novelized real life story about three sets of people (a NY socialite, survivors of Ravensbruck medical experiments, and o doctor who worked at the concentration camp during WWII), it brings the story from diverse points to a tense dramatic climax. This is a debut novel, but well written and drags you through the good, the bad, the ugly of people’s lives during the war. It’s a book that will haunt me, I’m sure. Thanks for another great recommendation. Mmh your version of coffee sounds delicious too. Loving the sound of your book recommendation. Might have to add this to the ever-growing tbr pile.